Thank you for coming to Inside Naples Florida. 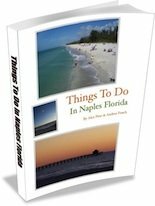 I have been visiting and living in Naples since the early 90's. Some of my closest friends have been born and raised here. But I can tell you - this is a beautiful place to visit and an even better place to live in. 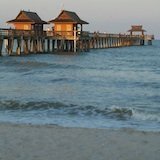 We can show you the best of Naples Florida right here on this site! You can enjoy miles of sandy beaches along the coast. On this site we'll be showing you around so you can discover the city's true charm and what brings so many people here year after year. Everything we talk about we have personally visited, done business with (MOST of the time), experienced, and photographed. At the very least, we've stopped by and taken a photo for you to get a preview. With your help -- eventually -- we'll get the "word" on it all (I'm talking about businesses). To answer your questions and concerns before you're even here! 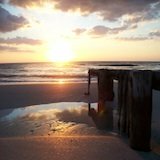 The purpose of inside-naples-florida.com is to give you a personal experience of Naples without having to leave this web site. The navigation menu is on the left where you can find a treasure of information, pictures, videos, and discounts -- all nicely organized so that you always know where you are at. Best of all you will be able to ask questions, get answers, and see what others are saying. You'll be able to review restaurants, share and read others Naples Florida experiences. There are also plenty of great restaurants, water activities, shopping, and wildlife. So why visit for a beach vacation, romantic getaway, a new place to live, or another special occasion? Video tours that you can experience right now! 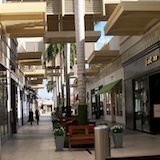 Inside-Naples-Florida.com is constantly being updated, so it's a good idea to subscribe to my e-mail newsletter. It's easy, just sign up below. This way you'll be sure to stay on the "Inside" in Naples. In this section we review (and have even made videos of!) just about all of the beaches that are available to the public in the area. Naples' famous fishing pier is located in the downtown / historical district. Also known as 'Olde' Naples. 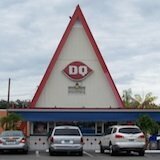 Learn about some of our restaurants here in town. We're always adding to this list (and so can you). You can review or even add your own restaurant review to this section. My favorite thing to do (not really) but even if you hate shopping, some of these places are pretty cool to visit. Tin City, for example. A look at a few of the thrift shops that I've gone to in town in case you're interested. This is sort of an "extension" to Fifth with a similar look and feel, but they each have their differences. Tommy Bahamas and Handsome Harry's are here.